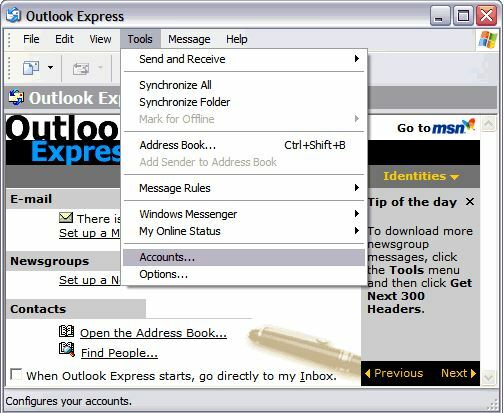 This guide is designed to help with setting up a Freeola email address within Outlook Express﻿. For more internet help topics please visit our main Support Page. These instructions should be relevant to all current versions of Microsoft Outlook Express. There may be slight visual/wording differences between versions but the underlying procedure is the same. From the menu bar select Tools, then Accounts. In the window that opens, select the Mail tab if it is not selected already. Click Add and then select Mail from the drop-down list. Next enter the name you want to appear on outgoing e-mails from you in the Your Name field. For example if your name is John Smith you may want to enter 'John Smith' or 'Mr J Smith' within this field. Click on 'Next' to continue. On the next screen enter the Freeola e-mail address you wish to add and click Next. In Account Name enter your full e-mail address. 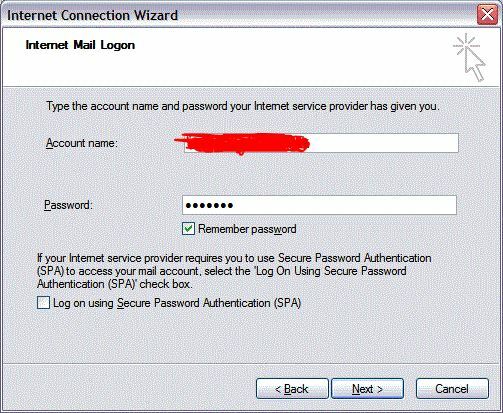 Password: Should be the e-mail password you made a note of earlier. On the confirmation page select Finish. In order to send messages using Freeola EmailPro or One Address you will need to now enter an Outgoing Username and Password. The previous step should have left you at the Mail tab (if not, Steps 1 and 2 of this guide will help you return here). 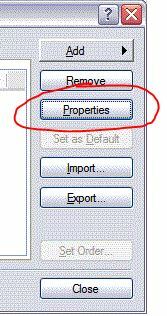 Select your new account then click Properties. Select the Servers tab then tick the option My Server Requires Authentication. 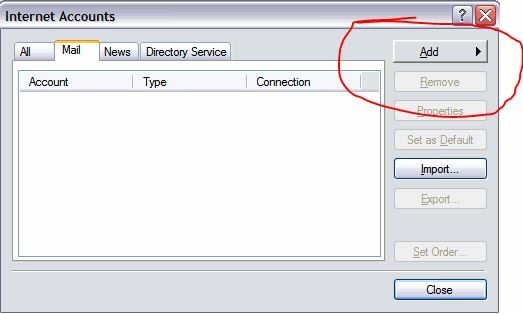 Tick the option This server requires a secure connection. Incoming Mail: 995 for POP accounts, 993 for IMAP accounts. Now click OK then Close to save your changes and return to your Inbox. If your account doesn't automatically begin downloading your messages, click the Send/Receive icon to begin this process manually.